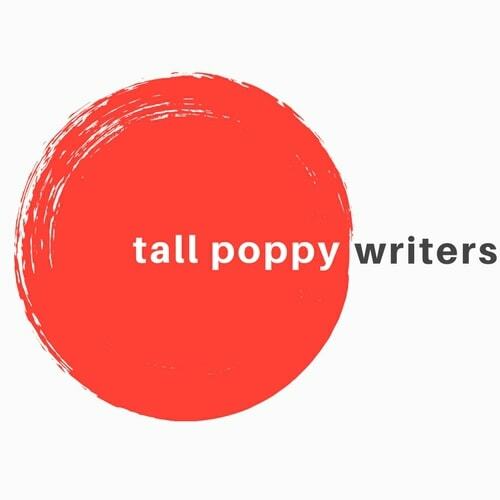 Time to unwrap the second Poppy book of our Christmas in October releases. Earlier we cheered for Heather Webb and Last Christmas in Paris. Now please help us celebrate with Anita Hughes on the release of Christmas in London. 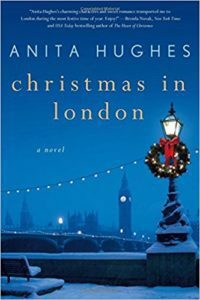 Set during London’s most festive time of year and filled with delicious food Anita Hughes’ Christmas in London is about love and friendship, and the season’s most important lesson: learning how to ask for and give forgiveness. It’s a week before Christmas and Louisa Graham is working twelve hour shifts at a bakery on Manhattan’s Lower East Side. When a young cooking show assistant comes in from the rain and begs to buy all the cinnamon rolls on her tray, she doesn’t know what to do. Louisa is just the baker, and they aren’t hers to sell. But the show burned the rolls they were supposed to film that day; so she agrees. The next morning, Louisa finds out that her cinnamon rolls were a hit, but the star of the show was allergic, and the whole crew is supposed to leave for London that afternoon. They want Louisa to step in for their annual Christmas Eve Dinner TV special at Claridge’s. It’s a great opportunity, and Digby Bunting, Louisa’s famous baking idol, will be there. Even if he does seem more interested in her than her food. And then there’s Kate, the show’s beautiful producer. On their first day in London she runs into the skinny boy she jilted at St. Andrew’s in Scotland ten years ago. Now he’s a handsome, brilliant mathematician, and newly divorced. Their familiar spark is still there, but so is the scar of how they left things. Kate and Louisa are busy preparing for the show, but old and new flames are complicating their work. 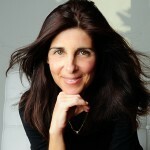 Anita Hughes is the author of Monarch Beach, Market Street, Lake Como, French Coast, Rome in Love, Island in the Sea, Santorini Sunsetsand Christmas in Paris from St. Martin’s Press. She grew up in Sydney, Australia, and lives in Dana Point, California. Find out more at www.anitahughesbooks.com.